Today is the 5th death anniversary of Tufail Mattoo—the school boy whose skull was busted open with a tear gas shell inside a playground on this day, five years ago. Mattoo’s killing set the stage of larger dissent—which later pave way to the street uprising. After shattering an uneasy peace in Kashmir, the case of Tufail’s killing passed through twists and turns and is still hanging fire for so many years for want of identification of the killers. On Friday—June 11, 2010, as 17-year-old Tufail Mattoo headed home from a tutoring centre where he was studying for the medical entrance exam, a tear gas canister fired from close range bashed a hole in his skull, scattered his brains around and killed him instantly. After Mattoo’s death and the ire that followed, the government imposed three days of strict curfew and ordered the deployment of the Indian army in Srinagar for the first time in more than a decade. 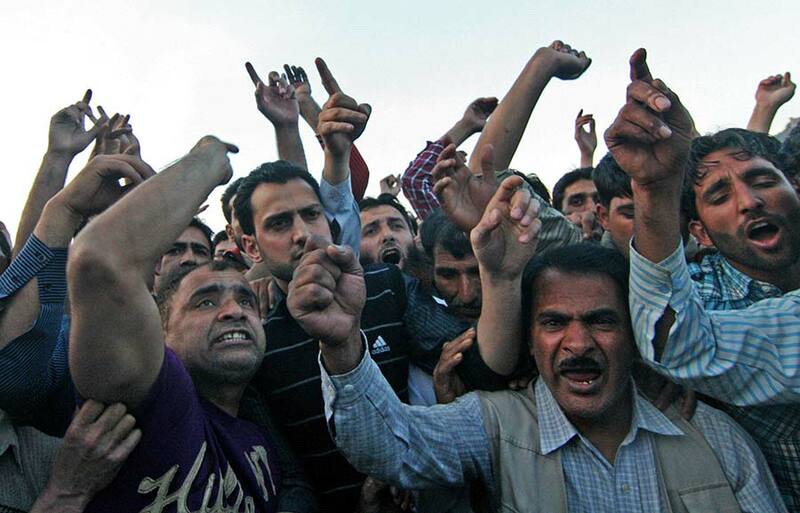 Mattoo’s death and its chaotic aftermath laid bare Kashmir’s inner turmoil. And soon Omar Govt started piling up dead bodies of young across Kashmir. Before Tufail’s killing, the only eye-witness in the case—Arifa, heard a loud bang near Downtown’s Gani Memorial Stadium that afternoon. The bang sounded like a grenade to her. As she came out, she saw three young boys running towards the stadium from the Saeed Sahab shrine side of Rajouri Kadal. Two of them entered the grounds and shut the gate behind them. But the third one was still left outside. That third boy “chased by the men in uniform” was Tufail Mattoo. “Tufail entered the gate but couldn’t go too far as he slipped on the mud. Two JKP officers came out of the Gypsy and followed him to the ground. They were hurling abuses at him in Kashmiri, saying ‘We will not leave you.’ The officers aimed at Tufail from a close range and fired a tear gas shell straight at him. The shell hit him in the back of his head. He fell, face forward, on the ground. The officers went near the prostrate body. But the loud bang brought out people from their homes and they ran away,” Arifa claimed. By the time, people could come out, Tufail was dead—with a school bag still strapping on. In his right hand a five rupee coin was found. Later his parents would tell: “That five rupee coin was his fare to travel back home.” The coin has now become a souvenir for his parents. 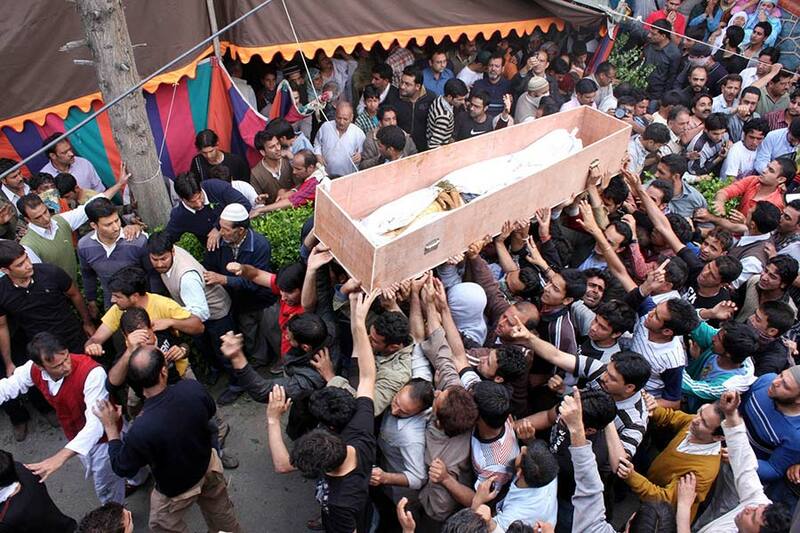 As Tufail was brought dead home, parents wanted to bury him in the family graveyard, but angry mourners turned for his funeral had other ideas. “This is your son, but he belongs to Kashmir,” Rafiq Bazaz, a neighbour and lawyer representing the family quoted the mourners as saying. 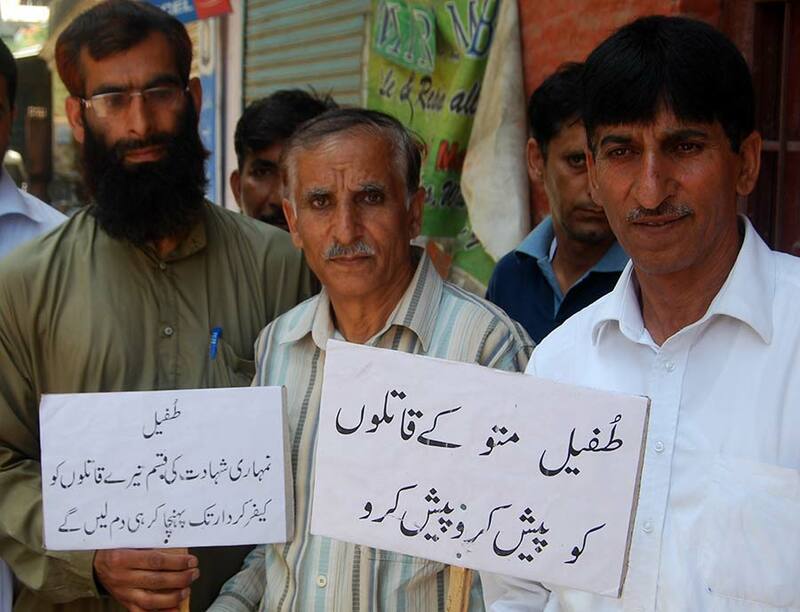 Muhammad Ashraf, Tufail’s father holding a placard. Shortly after the killing, the family approached Court in July 2010, which directed the police to register the incident and carry out an investigation. In July 2011, the family went to the JK High Court to question the delay in the investigation. The Court directed a special police team to investigate the incident. In November 2012, after more than a year, the police team submitted a case closure report to a Srinagar trial court, “without informing” the Mattoo family that the killers were “untraceable”. After police, Special Investigation Team of Crime Branch (CB) picked up the fast ‘disintegrating’ threads of the investigation. By February 2015, JK High Court gave eight more week ultimatum to CB to complete its investigation into the killing. Akin to police investigation, CB in first week of May last month also closed its investigation by declaring Tufail’s killers “untraced”. Notably, CB’s closure report said there was insufficient evidence available to identify Mattoo’s killers. 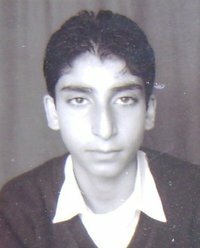 The report also stated that Mattoo’s death was the result of being struck in the head by a stone, not a tear gas shell! But the family filed a protest petition against the CB’s closure report before the chief judicial magistrate seeking directions to reject the report. “The matter deserves honest and thorough investigation,” Muhammad Ashraf Mattoo, Tufail’s father said. “May one ask the investigating agency, whose top brass hail from Jammu and Kashmir police that if they couldn’t trace out the culprits of Tufail Mattoo who was murdered during broad day light, by those who were supposed to protect him, how could one believe the claims made by the same police from time to time, to have resolved very deep and suspicious criminal cases,” the lawmaker from Langate, Er Rashid reacted over CB’s report. Amnesty International accuses police of not registering the case when Tufail’s father attempted to file a complaint reporting the killing of his son at the local police station the same day. Amid his struggle to book his son’s killers and efforts to keep political leaders wanting to “exploit” his son’s death at bay, the grieving father says he feels “betrayed”.